The GASSP seeks to improve procedures mechanism and services provided level with transparency within an integrating framework among beneficiaries and employers. Within this framework the Authority made a website on the internet in two languages, Arabic and English. The website included valuable information in regards to social security industry in Yemen in general featuring GASSP fields of work to ease procedures for beneficiaries : pensioners, covered civil servants. In order to get them know procedures and benefits eligibility provisions, application models for some procedures, and other services for common beneficiaries. This achievement came in light of H.E. 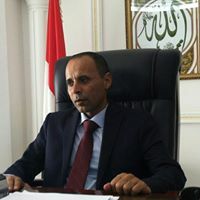 President Al-Saleh and his constant keenness to administrative improvement at all government bodies generally and his directives to government to make several solutions connected with social security industry and pensioners which contributed to the development of social security performance. We hope these effort exerted by the GASSP to persist for the success of its performance and providing distinguished service for beneficiaries and all common public with transparency and trust. To conclude, I forward thanks and gratitude to all participants in the creation of the website to reality, also to its leaderships and staff for the effort made in all fields of work of the GASSP hoping more success and persistent progress.